The blue sapphire is blue corundum which color comes from the presence of iron and titanium. The blue sapphire is the most famous of the corundum family. Indeed, when you use the word sapphire without any color adjective, it automatically refers to the blue sapphire. Mines: Burma, Cashmere, Sri Lanka, Australia, Thailand. The word sapphire automatically refers to the blue sapphire when we talk about this semi-precious stone. This is why you found more information on our general page about sapphire. The blue sapphire is the stone you will find in anecdotes throughout history, as it is an important symbol in various civilizations, in the nobility and in religion. The blue sapphire generally symbolizes truth, sincerity, and fidelity. It is also meant to bring peace, joy, and wisdom to the bearer or the owner. You will find the main healing properties of this corundum on the page sapphire. 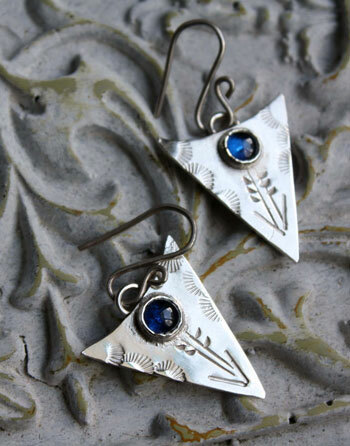 Here you will find the properties or healing properties that are specifically about the blue sapphire. The blue sapphire would help with insomnia. It would cure eye infections and would help improving sight. It would help with headaches. 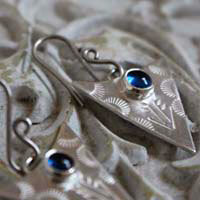 The blue sapphire would be efficient against fever and nose bleeding. It would help stabilizing the ear for hearing problems, infections and balance. It would help with thyroid and swollen glands. 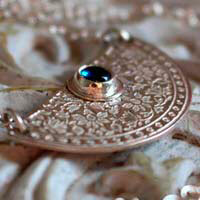 The blue sapphire would help with nervous system problems as wells as with blood system problems.